A few weeks back, my wife Catherine and I traveled out to my home state of Oregon to see my family and childhood friends. We spent the first day in Portland doing nothing but sampling coffee shops and interior design studios (I know, I know). The rest of our trip was spent with family down in Redmond near Sisters, Oregon, which is home to Cascade Street Distillery. My dad happened to pick up a bottle of Broken Top Bourbon (thanks dad! ), a two year old bourbon that’s the focus of our review today. The label for this whiskey has a nice modern touch, but it’s just a touch kitschy with roughly 65% of the front of the label filled with a sunset photo of Three Sisters mountains. I say kitschy because if you’ve ever walked into a small town gift shop (of which Sisters has many) and bought a jar of honey or jam, or a bottle of local beer, or a t-shirt or candle, most all of them will feature some kind of photo of the area. Don’t get me wrong: people go to gift shops to find something that will help them remember their stay, so a photo on the product makes sense. But if you’re making serious whiskey with the eventual goal of being more broadly distributed, ditching the gift-shop vibe might be an important step. In any case, in the glass, Broken Top Bourbon is a deep gold color with hints of red. Alright enough philosophizing. Let’s get to the product. Up front is some assertive ethanol, but right behind are lush aromas of honey, honeyed barley bread, and rye. Layered in are some jammy notes (I say Blackberry, Catherine says Strawberry). Overall, hard to pin down, but Broken Top definitely has a unique nose compared to most bourbons. On point of entry, Broken Top Whiskey is fairly understated, initially delivering notes of honey, almonds, and a jam-like fruit note (Apricot, maybe?). As the liquid expands across my palate, the experience deepens, with caramel, more honey, bright spices, and a slightly bitter leather note which is a nice touch. As sip shifts towards the finish, some typical rye spice notes surface, then are joined quickly with some accompanying floral and pine notes. 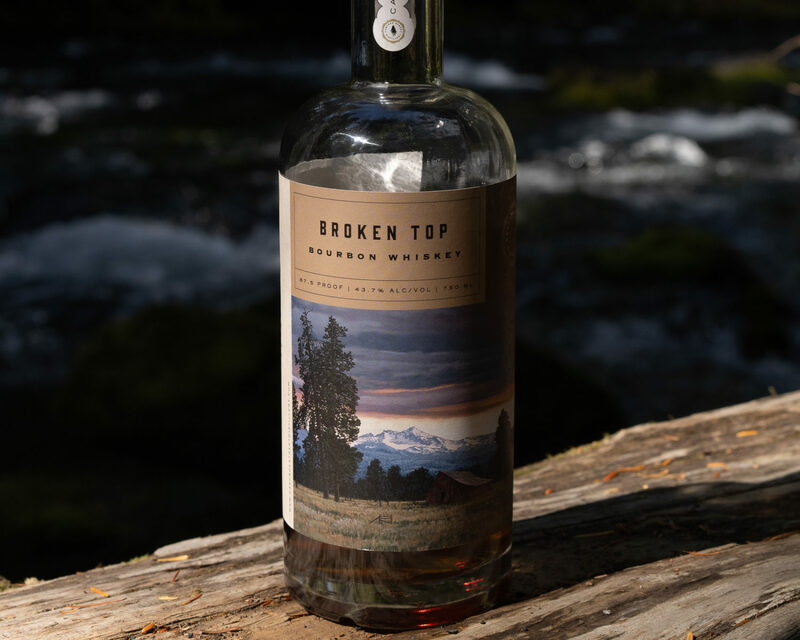 Broken Top Bourbon is a solid small distillery offering. 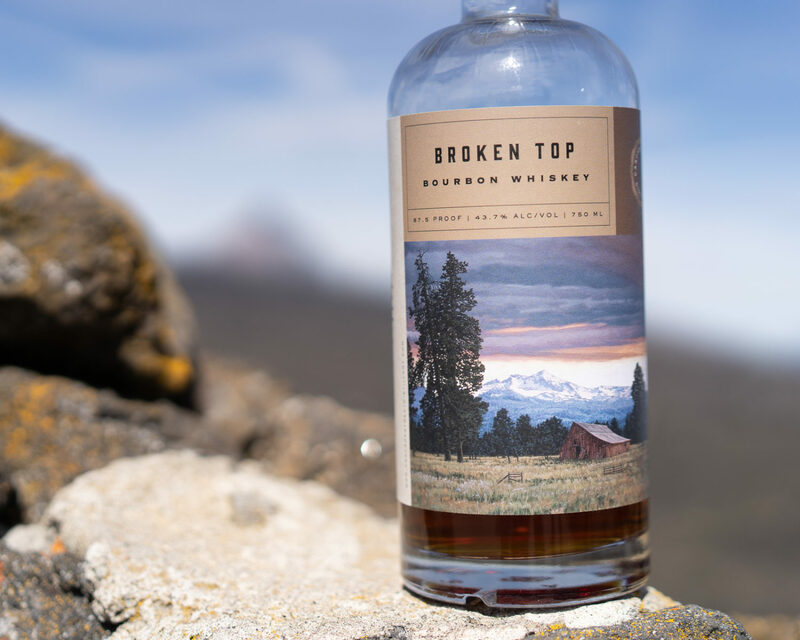 Unlike many boutique bourbons, Broken Top Bourbon actually sips like something genuinely new. Not the most complex dram, but I found every glass had enough new to keep me coming back.